Every business needs a contract at one time or another. They are everywhere. Whether you are a struggling artist, world renowned photographer or a gallery owner, you will be inundated with contracts from art dealers, agents, exhibitors, publishers, ad agencies, museums as well as non-art industry members like landlords and contractors. If a contract is supposed to make sure that both parties fulfill their obligations, then why are there so many breach of contract lawsuits? Partly, it’s because there is too much ambiguity and undefined terms within the essential elements required to have an enforceable contract. But there doesn’t have to be. When entering a contract, you should be thinking; What if this happens? What does that term mean? Do both parties have the same understanding of this or that point? By not playing devil’s advocate, holes are left in the contracts that a party can jump through to escape their obligations. But if we can make sure that all the essential elements are tight, then the breaching party will have no recourse but to fulfill its obligations or not breach in the first place. 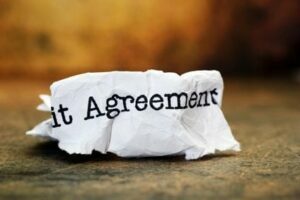 Offer, acceptance, and mutual agreement: Every contract must include a specific offer by one party with the other side accepting the terms of the offer. Both parties must agree on the terms of their own free will. If one party forces or coerces the other into agreeing, then the contract can be invalidated. Consideration: Something of value must be exchanged between the parties, such as money or services. If both parties don’t exchange something of value, it is a considered a gift, not a contract. Mental competence: Both parties must be of “sound mind.” Mentally ill or intoxicated parties will invalidate the contract. Contracts with minors cannot be enforced, although what constitutes a minor for contract purposes may vary by state. Legal purpose: The contract must be for a legal purpose. A contract to sell drugs, commit a robbery or another illegal act is not enforceable. Lack of performance by the defendant: The plaintiff must show that the defendant did not fulfill the terms of the contract. When creating the contract, make sure the terms are specific and understood by both parties. If the terms are vague or ambiguous, then the contract will be difficult to enforce. Performance by the Plaintiff: The plaintiff must also show that they have fulfilled the terms or would have fulfilled those terms if not for the defendant’s lack of performance. Timely notification of a breach: The plaintiff must have notified the defendant of the breach including a defined time with which the defendant can satisfy the terms before a breach of contract action will be initiated. The notification should be in writing and sent using return receipt or some other proof that the notification was delivered verbal notification is acceptable but harder to prove. For the defendant to prevail, they would need to find a way to cast doubt on the plaintiffs argument as to these elements. So, if the defendants can show the contract was indefinite, vague or find some other element lacking, they can win. 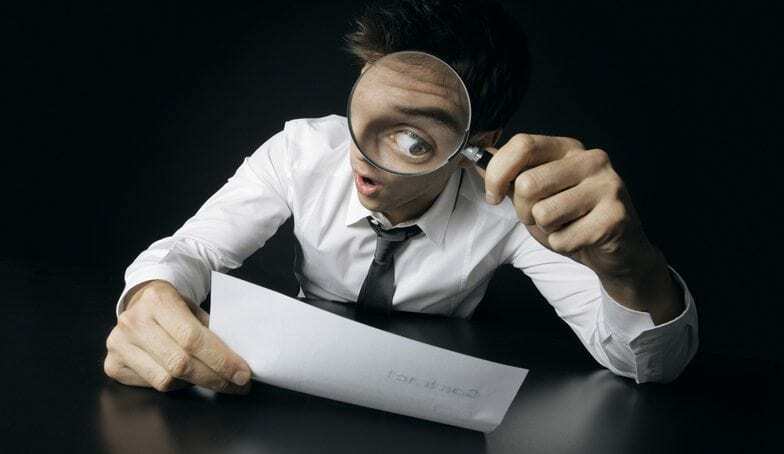 Fraud: Both sides must enter the contract with their eyes open, so failure to disclose something important or if false statements are made that the other party relied in the contract, the contract can be invalidated. Duress: If the defendant can show the contract was agreed to under duress,the contract is invalid since both must agree to the terms of their own free will. Undue influence: When one party has power over another and uses that advantage to force the other to sign the contract, then the agreement won’t hold. Mutual mistake: If the defendant can show that both parties made a mistake as to the terms, it may be enough to serve as a defense, but the mistake must be from both parties. Statute of Limitations: Many types of actions have a time limit for bringing the case to court. The length of the limitations varies wildly by state, ranging from as little as 2 years to as high as 15 years. If you are beyond the time limit, you are out of luck unless you can get the case moved to a state with a longer statute of limitations. NOLO has posted a list of Statute of Limitations for Breach of Contract by state. If those don’t work, then the defendant is unlikely to win. The moral of this story is to make sure when entering any contract, that you consider what you need to prove the validity of the contract. Make sure you can prove the essential elements and that there is no ambiguity or misunderstanding of the terms. It’s the best way to keep the other party in line, but if you are forced into initiating a lawsuit, at least you know you will win. If you have any comments or war stories, please add them to comments section below. If you found this story useful, please click the share button below or post it to any of your social media. We appreciate your help in getting our articles out to a wider audience. Hi, Steve. Just discovered your website and am enjoying reading your articles. I came across art law journal while googling a question. Recently I read on another website that a gallery is legally obligated to divulge who purchased one’s art work. Is this true? I have had gallery representation for decades and until recently have always been given the name and contact info for my collectors. However, I am currently working with a gallery (non-exclusive arrangement) that refuses to provide information on sales. Is this legal if not expressly in the contract ? Thanks! Ultimately, I would check on the terms of your contract. If you’re still unsure, consult a licensed attorney. Thanks for finally talking about >Don’t sign a contract without looking at these tips <Loved it!